Lokar's Steel Throttle Pedals are the first spring-loaded steel pedal in the industry and designed after OEM pedals. Removable lower arm is splined for versatility in mounting to the right or left of the mounting bracket. Lokar offers these steel assemblies in both our standard pad size and our larger, XL pad. The XL pad is EXTRA LARGE for those seeking more substance under foot. Matching Steel Brake Pads mount with a 1/2 - 20 stud built into the back of the pad. 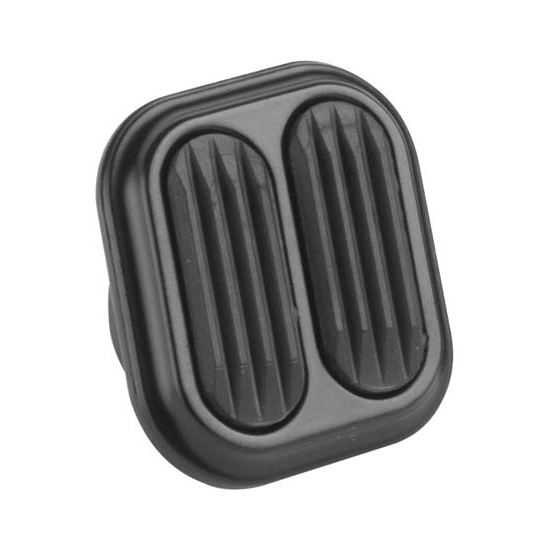 Matching Dimmer Switch Cover fits both Chevy and Ford. Pat talks about the Lokar Hi-Tech shifters we have available. Looking to replace a turn signal switch in your street rod, rat rod or muscle car? Kevin explains the install process in his 1954 Belair, which you can apply to your own build.